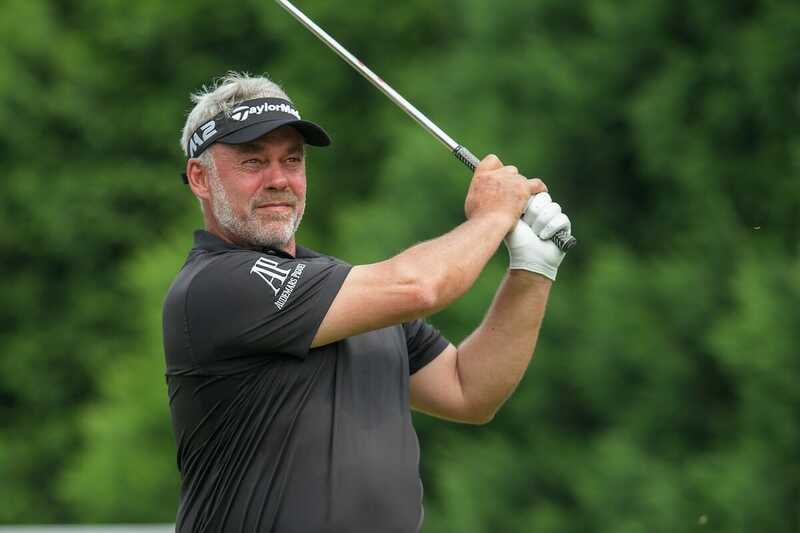 Darren Clarke continued his mini-revival of late as he fired three rounds in the 60s to claim a share of 16thplace at the Chubb Classic on the Champions Tour in Florida. The Dungannon favourite claimed an encouraging top-10 finish last week at the Oasis Championship and kept up the good work this time around too as he closed with four-under par 67 at Lely Resort. The former Open champion fired five birdies in all with his one dropped shot coming at the par-3 4th hole where he failed to get up and down. All told, Clarke’s 68/69/67 54-hole return saw him produce a nine-under par tournament total in another healthy performance. At the top, Spanish cigar smoking favourite, Miguel Angel Jimenez got the better of Bernhard Langer and Olin Browne at the first time of asking in their three-way playoff to win the title. Jimenez had closed with a five-under 66 to match Langer and Browne at 13-under par but a par was all he needed at the first extra hole to claim a welcomed crown.